Creating an individual guitar that is able to take the player to new heights of creativity and has its own special voice is the quest. 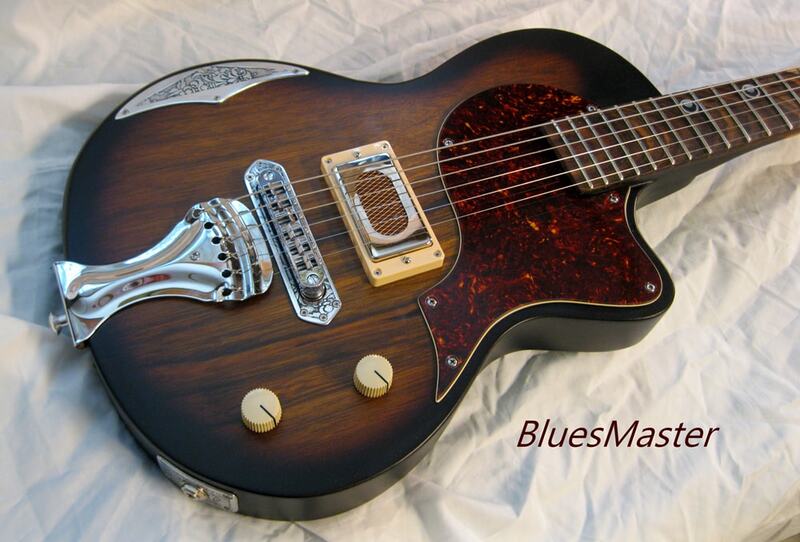 Let’s work together to make your dream guitar a reality. With one foot firmly planted in the history of American guitar making and the other headed for the future, all guitars are hand made, one at time, just for you. 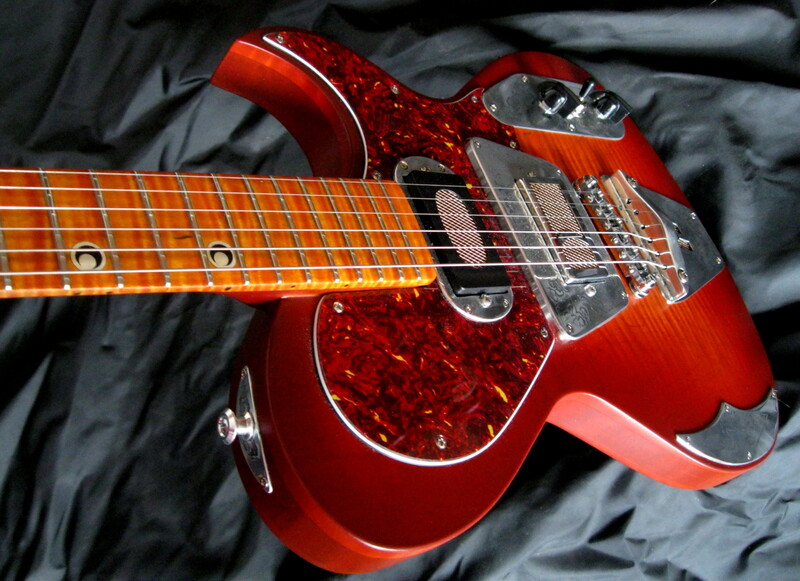 Most Harden guitars are based on one of the following models. 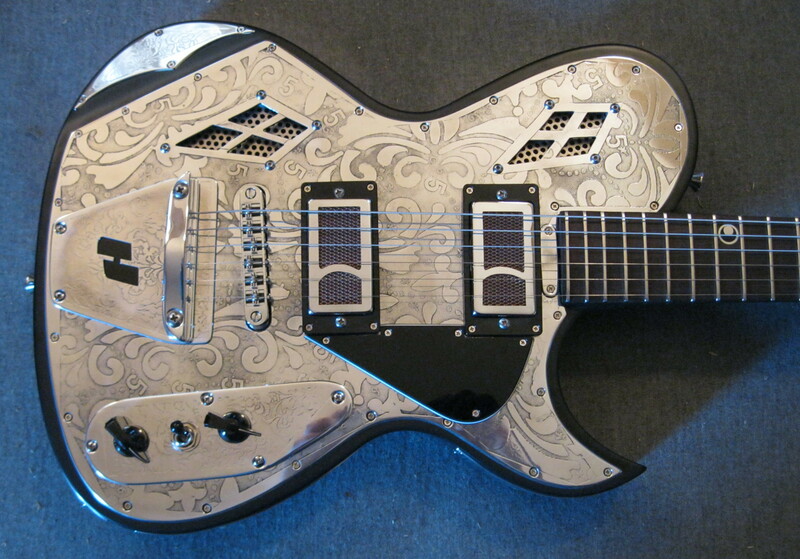 Each has been designed to capture a specific sound, tone and embody it's own original style. An American original—the guitar that started it all! Set neck, chambered mahogany / korrina / maple body, Switchblade humbuckers, hand made and etched aircraft aluminum parts 25 1/2 scale neck carved to your specs, very versatile, with plenty of sparkle while being beefy and bluesy all at the same time, raw yet refined. 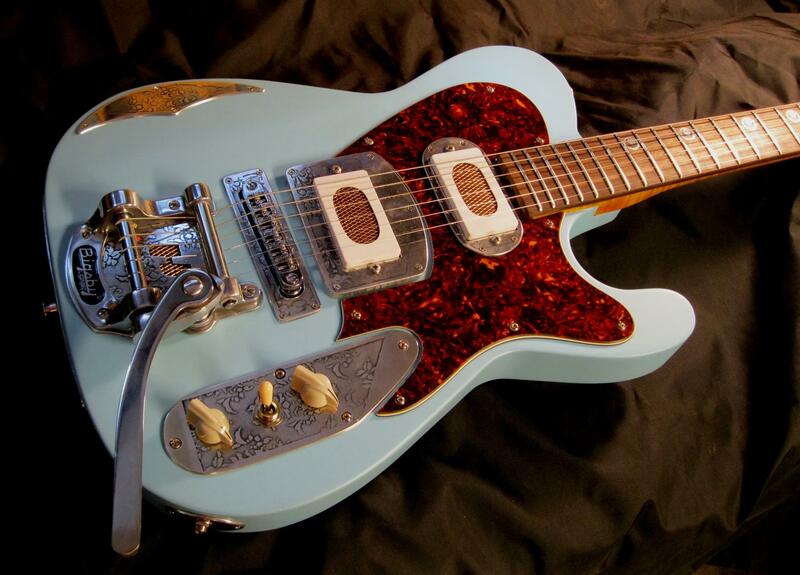 Choice of finishes and pickguard combinations,as original as your music! 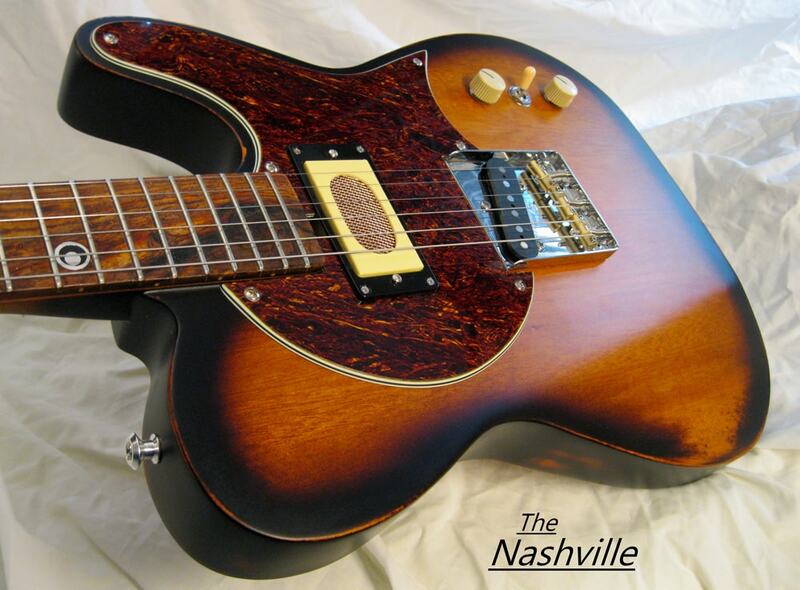 The perfect marriage between a Telecaster and Les Paul, with features like a slanted headstock and set neck and a set of Broncobucker humbuckers,this guitar retains the clarity and spank with more sustain and girth. Chambered mahogany, limba or pine body, light to medium relic finish, 25 1/2 scale, neck carved to your specs, plays like an old friend! A blend of singing sustained highs with mellow focused lows combining the best sonic qualities of wood and metal together, chambered mahogany/spruce body with hand etched aircraft aluminum, a set of slightly overwound Broncobuckers, 25 1/2 scale neck carved to your specs. Great heavy yet nuanced tone, when only the best will do! 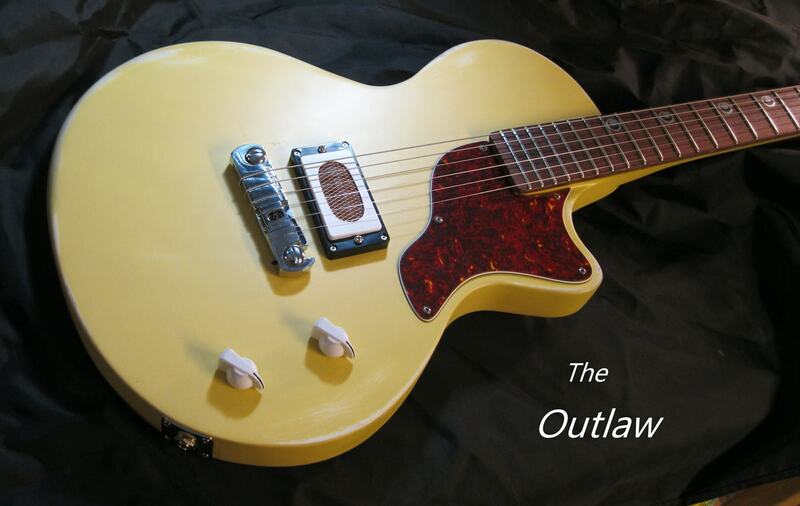 A late 50s Supro inspired workhorse,featuring a single Switchblade single coil pickup in either the neck or bridge position, with a chambered mahogany or limba body, 25 1/2 inch scale neck,simple elegant and very versatile. If you have any questions or are interested in purchasing a custom guitar, bass, amp or lap steel, contact Harden Engineering. We'll talk about what you have in mind, and work with you to build a custom instrument or amp that's made by hand, just for you.